As we all know, mint is the flavour of choice for toothpaste and for chewing gum. 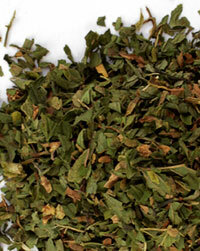 It is a very civilising herb - quite impressive, when you think about it. 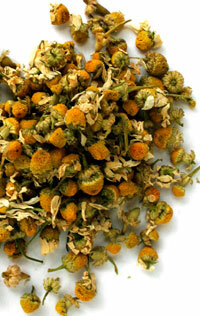 Chamomile is a member of the daisy family, and many people swear by it as an aid for relaxation and sleep, especially in the evening. 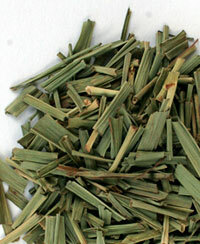 Pure, cut lemongrass leaves make a delicately refreshing brew. Ginger & Lemon. Lemon & Ginger. Fred & Ginger. Fred & Barnie. Bert & Ernie. Laurel & Hardy. Hall & Oates. 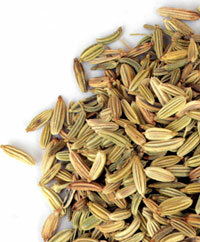 Whole fennel seeds with a taste akin to aniseed; an invigorating herbal infusion. 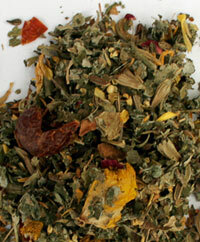 Raspberry, strawberry and blackberry leaves, rose hip peels, aniseed, apple pieces, fennel, peppermint, sunflower blossoms, ribwort, elderberry, milissa, mullein and peony blossoms. If you're reading this, I already respect you. 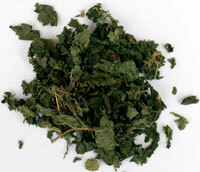 Nettle infusion, with its bracing, vegetable flavour, similar to spinach, is not to be drunk half-heartedly. 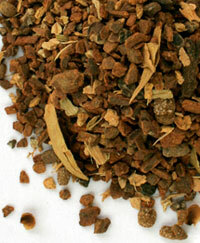 But if you can learn to love it, you may reap the benefits of one of England's oldest folk remedies. 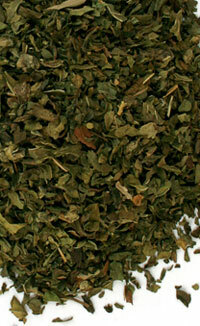 Nothing but pure Moroccan NANA mint leaves. As close as you can get to the souk without your own mint plant. 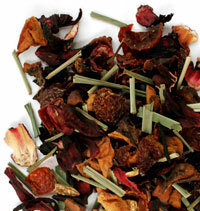 Apple pieces, rosehip peels, rooibos tea, hibiscus flowers, mallow flowers and lemongrass. 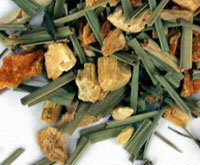 An intense, characteristically Indian infusion of spices, made according to the principles of traditional Ayurvedic medicine. 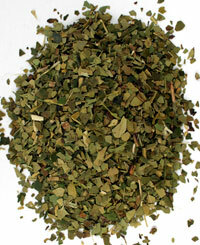 Blackberry leaves, balm herb, orange flowers, raspberry leaves, liquorice root, fennel seed, cardamom seed and aniseed. 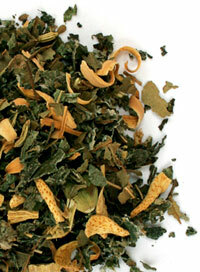 © Lee Rosy's Tea Ltd, 2005-2013.